Kasisto, the conversational artificial intelligence (AI) company, and digital bank Liv, a digital bank in the UAE, operated and manged by Emirates NDB, have launched a new conversational chatbot called Olivia. Launched in 2017, Liv is a mobile-only bank for UAE millennials “centred around lifestyle”, offering instant fully digital account opening, curated and personalised content, social media-based money transfers, customisable goal-based savings accounts and gamification. “Liv’s goal of providing a differentiated and digital experience for a new generation of customers, empowering them in their daily lives, learning and adapting to their individual preferences, and providing a banking platform that is intuitive and simple to use matches perfectly with Kasisto’s vision to enable customers to make better financial decisions through human-like conversational AI,” says Zor Gorelov, CEO and cofounder of Kasisto. With the launch of Olivia, Liv customers can get account information and insights on their spending “as naturally as texting a friend”. Olivia can tell you things such as how much you spent on restaurants or travel last month, how to send money overseas or ways to block your card. Olivia can hand over your conversation to the human team if the customer ever needs to chat with a customer service agent. As AI uses human interaction to constantly adapt, grow and learn, the mentorship program enabled Liv customers to co-create and participate in Olivia’s development as well as help build positive affinity and engagement with the platform. 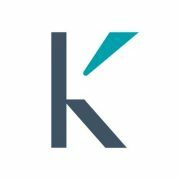 DBS Bank, Standard Chartered Bank and TD, among others, use Kasisto’s KAI to create virtual assistants and chatbots.